Hi all! I have been very distant lately with the group because I have been very sick, and my energy went really down. But thanks to that, I started a journey not only to claim my own power but to open to something better. 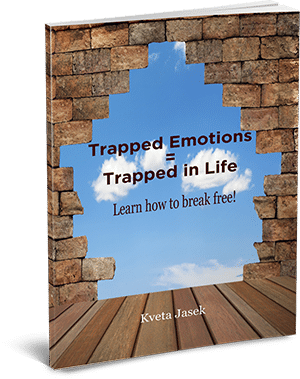 I want to let you know that I take emotional code with Kveta Jasek and what the result was. A day after my session, I started to feel proud of myself, and very strong, I didn’t see in the mirror a “monster” anymore but a beautiful person that I wanted to be a friend of. That day Kveta sent me Metatronia healing as well, and that was fantastic. At first I thought nothing happened, because physically I didn’t see any change. But I noticed many things around me started to move. People started to change towards me, I recieved so many messages about being in process to change something, my family started to feel more open, I was initiated in Reiki and the climax of all this was my meeting with a shaman who I know came to complete Kveta’s work and Angel Wings (who also send me some Reiki) This shaman did some ritual to clean me from all the bad energy I absorbed like a sponge. I felt like I never felt before, so in peace, so happy so strong, so sure of what I know and who I am. I feel full of love. Next day, back in Prague, I had a 3 days job waiting for me, and an Interview for another one. Today I have a new job, more massage clients, and ALL the people I have met since I am back, have told me I look different. I look very peaceful to them. And I have notice a change in them as well, they also look beautiful to me. I highly recommen Kveta when you feel you are ready to let go what is making your body sick.